OK friends...... I know Thanksgiving is a mere 3 days away, but if you're anything like me you eat like it's Thanksgiving ALL November Long!!!!! This month's weeknight supper delight is an awesome grilled Thanksgiving meal. 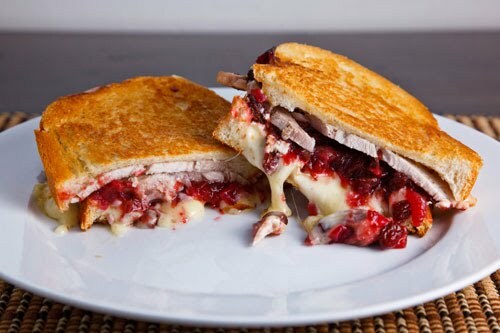 A turkey and cranberry grilled cheese. I've got a confession, this pic is NOT mine. Not even the real sando I made. The lighting totally blew when I took pics of the ones I made. Still struggling with getting used to it being dark when I get home. 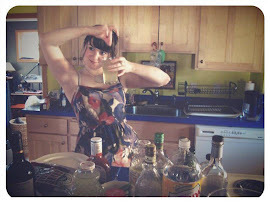 Anyways....... this is really really easy and really really declicious. Spread a thin layer of cranberry sauce on both slices of bread. build the sandwich with as much turkey, cheese, and arugula as you want, but make sure you get some cheese on both sides of bread so it sticks the sandwich together. Grill the sandwich in some butter in a skillet and enjoy! You will fall in love. Seriously. If you're vegetarian, you can skip the turkey and this will still be fantastic. 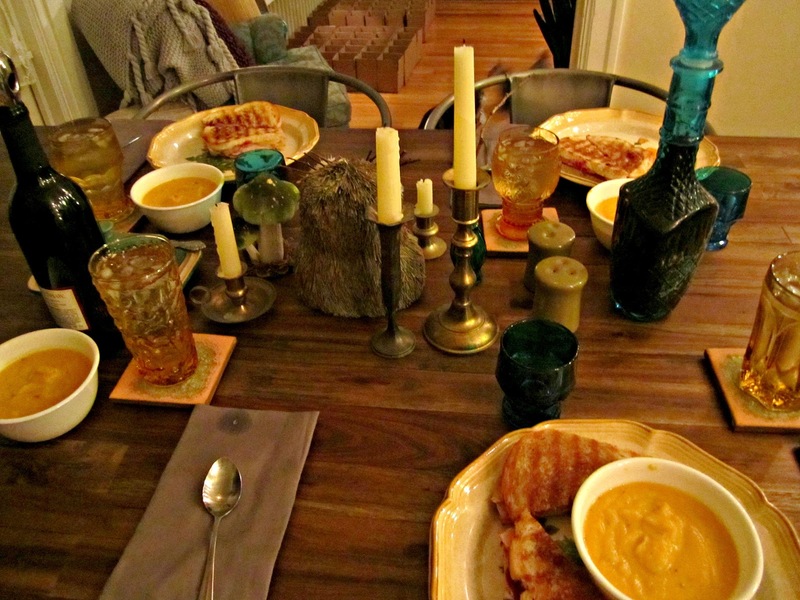 Here is a snapshot of the actual meal, served with squash carrot soup. Have a wonderful Monday night!! Your table looks so beautiful! What a wonderful meal that must have been!